Wilshire Residences is a project of Roxy Pacific and Teo Eng Group. The two have come together to create a luxurious residence for the people of Singapore. Located in Singapore’s most prime district, Wilshire Residences will win your heart over with all the amazing facilities they offer! Majority of homebuyers and investors are most concerned about the location of their apartments or residences. Wilshire Residences have definitely got this aspect right. This project is being developed on Farrer Road. It is very near Holland road and is just 10 minutes’ drive away from Orchard road. 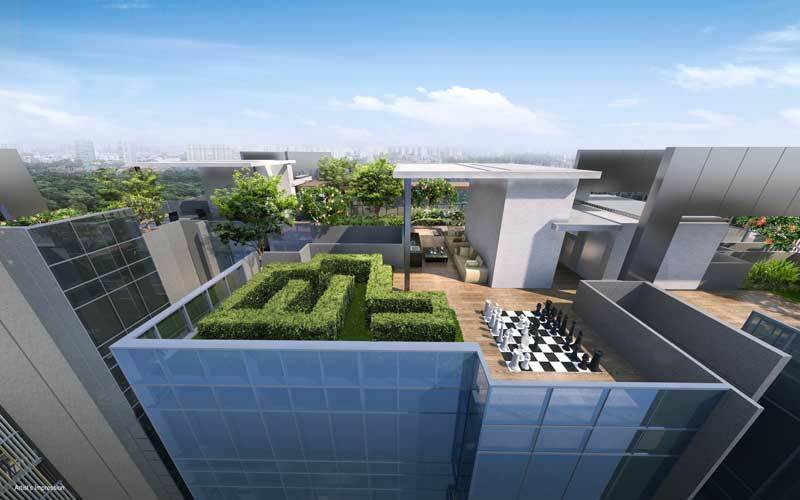 Nearby schools, MRT stations, shopping malls, and other facilities make Wilshire Residences a very feasible option. Highways are connected to the residencies too. The Pan Island Expressway (PIE) and Ayer Rajah Expressway (AYE) offer the pathway from this residency to other major cities. The area where Wilshire Residences are located is surrounded by all required facilities. For transportation facilities, the Farrer Road MRT is within 10 minutes’ stroll away from this location. This 600m can be covered by foot or you can use modern commute options such as an e-bike too. From this station, you’re basically connected to the entire country. One stop later is the Holland village MRT. This station allows further access to more locations. Botanic garden MRT interchange is also just one stop away. Other than that, you can get to Buona Vista MRT interchange from Farrer road MRT after traveling to 2 stops. These commute options make it very easy to reach your office. Schools and shopping malls are mostly nearby and you can get there by foot or car. There is no lack of dining and retail amenities around this area. From basic needs to luxuries, everything is available. For dining amenities, the Empress Road Market and Food Center are less than 400m away. A 6-minute walk will get you there. Commonwealth Crescent market is the next option. If you’re driving around, you can opt for popular hotspots such as Dempsey Hill and Holland village where all the famous dining cafes can be found. Adam Road Food Center is a great place for evenings with the family as well. If you’re in need of some retail therapy, Coronation shopping plaza, Orchard shopping belt, Tanglin mall, and Tanglin halt market are nearby places you can consider. All these shopping centers are less than 10 minutes’ drive away. Education is always a top priority. Residents of Wilshire Residences can opt for the best schools for their kids without having to worry about distance. With one to two kilometres away, there are primary schools such as Nanyang Primary (1km) and Raffles Girls’ Primary, Queenstown Primary and New Town Primary School. Secondary school that are within a short drive away include St Margaret’s Seconday, Singapore Chinese Girls’ School and St Joseph Institution. From primary to secondary to college, all grades are catered in nearby institutions . You’ll find plenty of options, from local to international. Moreover, all these options will be within a 10-minute drive reach. The Wilshire Residences will be a 12-storey building comprising of 2 residential towers. There will be 4 units on each floor, spread in 2 lift cores. Units on all sides offer a view. Some will look over the Botanic Garden, others will open into Victoria Park, while some will be facing Holland Village. Some units are described as typical whereas the others are categorized as penthouses. The typical units offer 1 to 5 rooms. There are 10 1-bedroom units and 10 2-bedroom units in the vicinity. Other than that, 40 units offer 2 bedrooms with a guest room. 10 3-bedroom units are available and 7 units offer 4 bedrooms with one guest room. As for the penthouses, there is one of each. You can get 1, 2 or 3 bedrooms. One unit offers 2 bedrooms with a guest room and another unit comes with 4 bedrooms and a guest room. The overall building is a complete package. Car parking space is available for all residents. Furthermore, a BBQ pavilion, kid’s playground, lawn, and other such facilities are also offered. Book your apartment right now to get a luxurious lifestyle in Singapore’s most prime location! The showflat of this freehold condo is available for viewing. Do drop us a call at + 65 6100 4668 for more info.